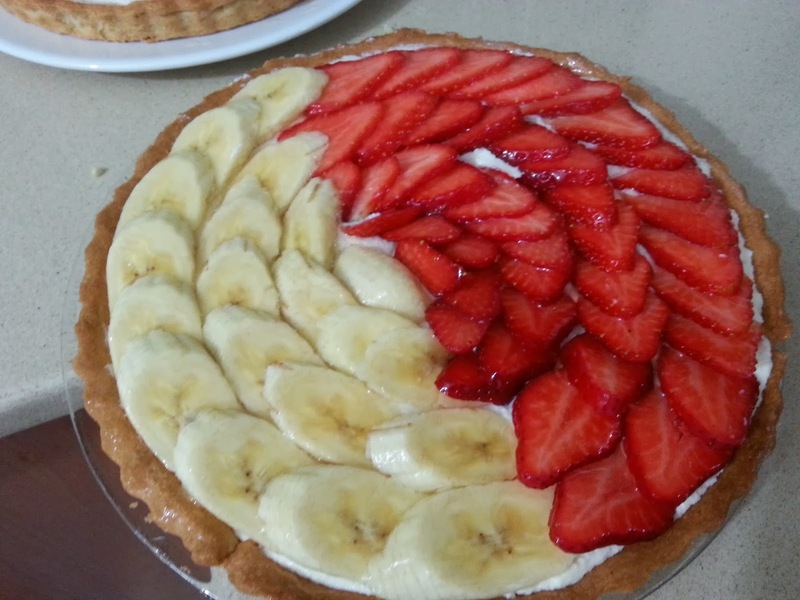 Take a look for two kinds of Tart. 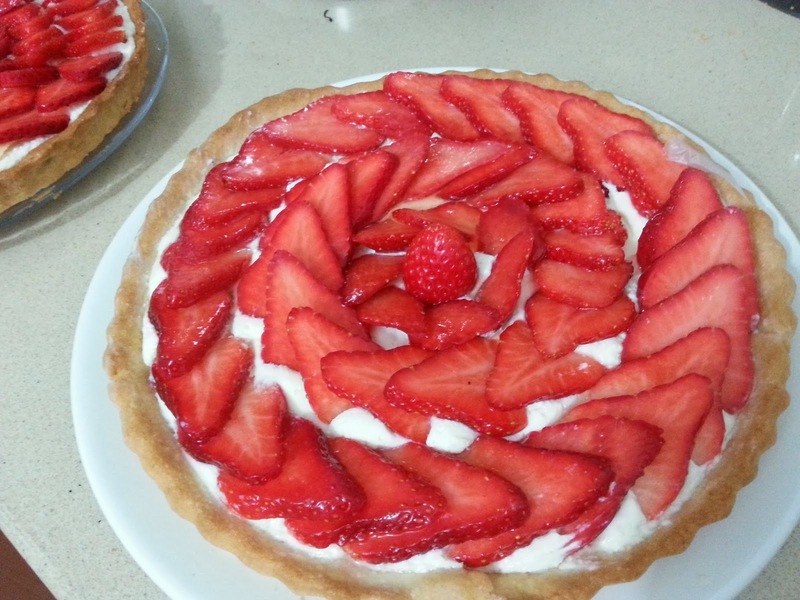 Both of them with the same no-baked type of filling (white chocolate whipped cream, yammmi…. ), but with different fruits. 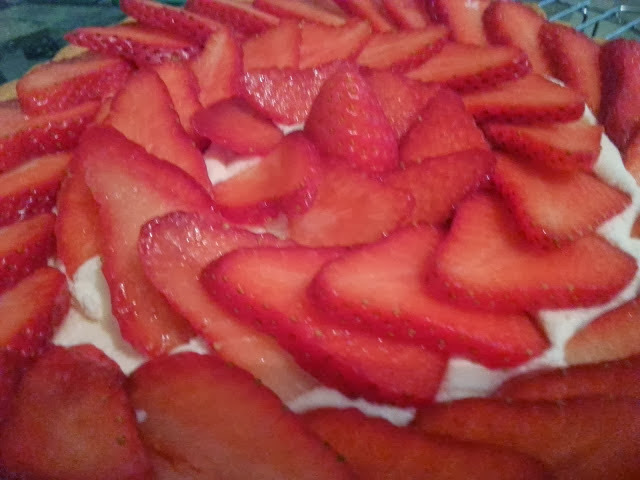 The combination of the strawberries tartness and white chocolate sweetness is balancing each other and creates an unusual soft and tasty flavor. If you like this kind of tastes, you can use also kiwi, raspberries, cranberries, blueberries or even pomegranate. I tried ones to use also citrus fruits, but it wasn't fit, especially I think because of a crumbly texture. 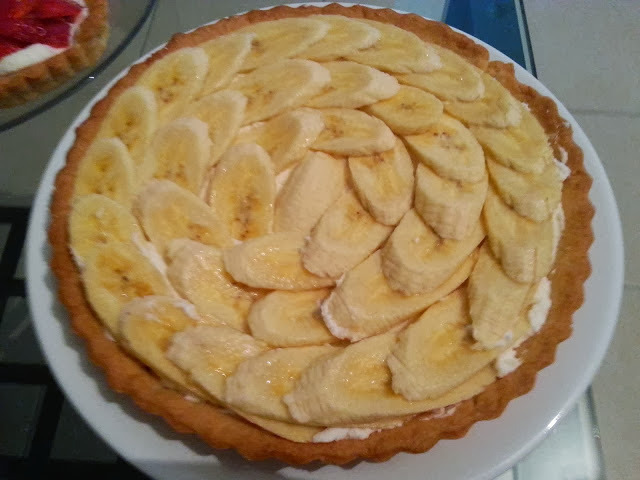 The second one I made with bananas, this one is for people that like sweet kind of pastries. You can use also carabola, pineapple, melon or lychee. Do not forget to add a little bit jello on top of it to keep it fresh. Bon appetit !